Bastian Solutions, a Toyota Advanced Logistics company, debuted the Bastian Solutions Shuttle System, a robotic materials handler with unparalleled efficiency and flexibility made possible with parts designed and built through additive manufacturing. The additive parts of the robotic Shuttle System—including the fingers, joints and elbow—are made with polymers, giving the robotic materials handler more dexterity and efficiency, as the lightweight material allows for a smaller motor and requires less power to execute its daily operations than with its previous metallic parts. Bastian Solutions worked with Fast Radius to fully implement additive design and manufacturing into the Shuttle System. The additive parts for the product are made at Fast Radius’ Chicago headquarters, one of the most advanced industrial-grade additive manufacturing facilities in North America. 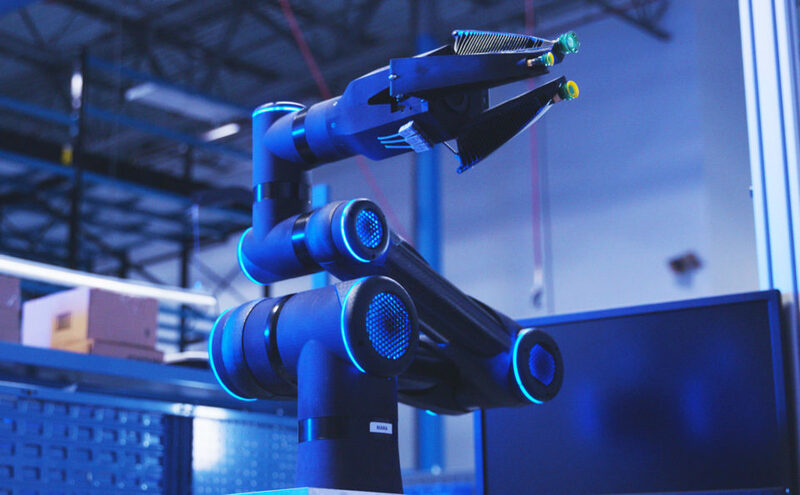 Forty-five percent of the final build-of-material (BOM) for the arm of the Bastian Solutions Shuttle System robotic picker will be produced using additive manufacturing. The parts are manufactured using HP Multi Jet Fusion 3D printers and Carbon® printers.